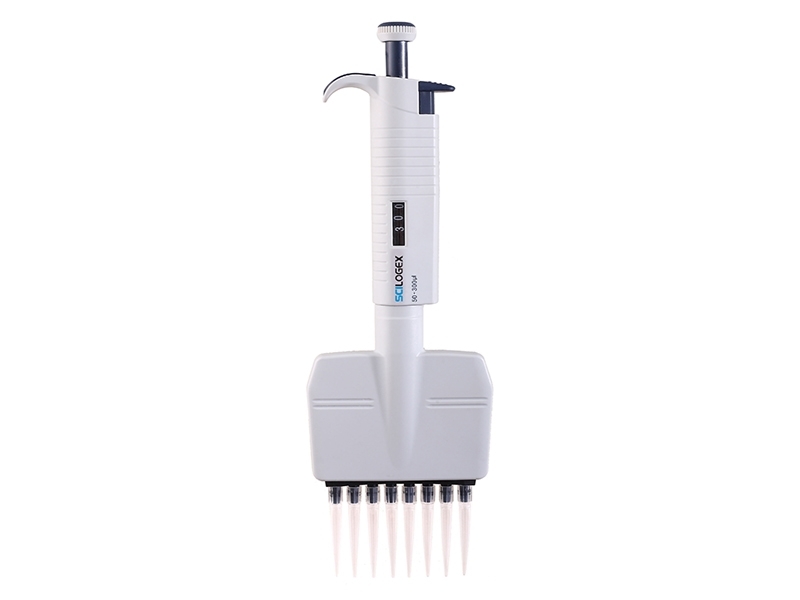 Adjustable Volume 8-Channel and 12-Channel Micropipettors feature an ejector that works with the dispensing head in any position. The dispensing head rotates for optimum pipetting convenience. Individual piston/tip cone assemblies allow easy repair and maintenance. Compound material tip cone design allows visual seal verification. They Comply with ISO 9001, ISO 13485 for medical devices and GLP (Good Laboratory Practice) guidelines and bear the CE mark.